Privilege Walk at Belmont University in Nashville, Tennessee, October 4, 2018. 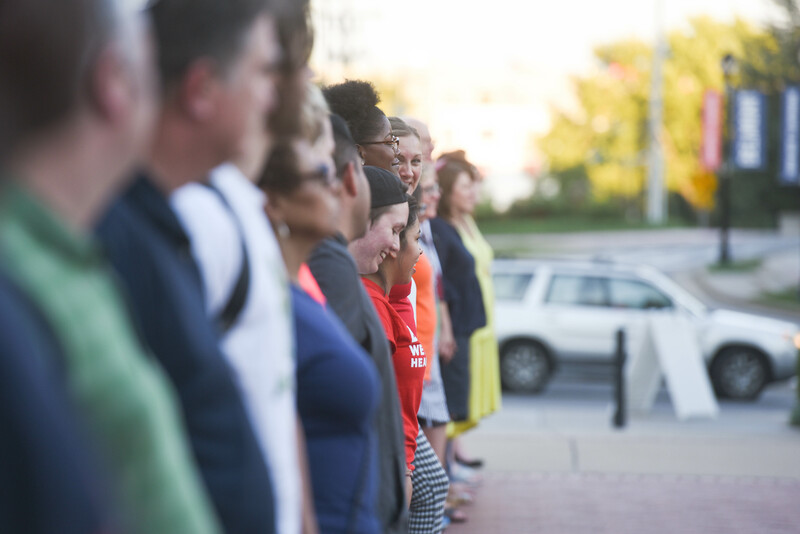 Belmont University hosted its fourth annual Diversity Week last week and provided more than 20 opportunities for members of the community to engage in meaningful conversations surrounding diversity, inclusion, privilege, cultural humility and more. Launched by the Welcome Home Diversity Council and Racial & Ethnic Diversity Team years ago, Diversity Week is part of the Belmont State of Mind, the University’s overarching diversity and inclusion initiative. Highlights from this year’s event include Real Talks for students, faculty and staff where important topics are discussed in a safe format, a Privilege Walk where participants are able to engage with their privilege in a physical way, a screening of “Won’t You Be My Neighbor” in the University’s state-of-the-art theater, convocation presentations by nationally-known speakers and authors including Austin Channing Brown and Andrew Maraniss and more.